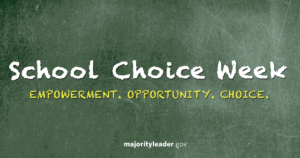 School choice is about giving kids the opportunity to get ahead by letting families choose the best school for their children. 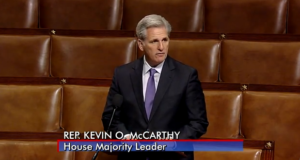 House Majority Leader Kevin McCarthy spoke on the House floor today in favor of ending taxpayer funding of abortions and in support of a culture that values every human life. 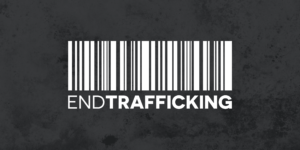 With bipartisan legislation like this, the President should set his sights higher than the veto pen.